Mediation for Child Contact Benefits. It’s never easy for a child to see his or her parents separate or get divorced. Chances are the child might feel unsafe or scared to go out. They also face an emotional breakdown or stress when they don’t see their parents. So, mediation for child contact is important to ensure the child would see his or her parents have bonding moments with them. Here, a mediator or third party explains his or her purpose in the mediation. Parents are welcome to introduce themselves and explain the reasons why they seek mediation for child contact. The mediator then agrees for most parents to see their child or children and spend time with them. Since you know its importance, what are the advantages it can offer the parents – particularly the kids? Families who are facing difficult times don’t need to think of the location where they can meet their children. Child contact centers are ready to serve you by offering excellent service to families. Here, the in-house supervision takes place that enables a safe and easy hand-over of a child to his or her parents. The parents wouldn’t face any difficulties regarding spending time with their child. The center ensures the supervision of families is always successful. So, there are no hassles for the family to spend excellent time together. Children shouldn’t need to shoulder the burden of seeing their parents separate or get divorced. Thus, the mediation for child contact is required to assure that children have a safe lifestyle. Contact child centers have a joyous and friendly ambiance that’s perfect for the child’s welfare. Parents of the child can take a visit to the center, and they can spend a great bonding time. It adds to the joy or the happiness of the child to see and have fun with his or her parents. The mediator and facilitator see to it that the friendly atmosphere stays in the center’s venue all the time. The result: the happiness of the child is always present despite a parent’s separation or divorce. The best thing about mediation for child contact is parents are free to enjoy great bonding time with their child. No pressure during the bonding time and both parents enjoy and cherish the moment. 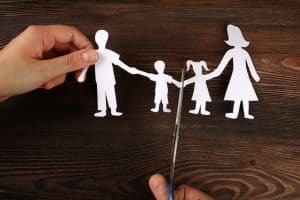 Divorce or separation shouldn’t affect the parent’s relationship with their child. The mediation for child contact helps that the child has quality time with his or parents. The parents can embrace great possibilities that enable the family to settle disputes. 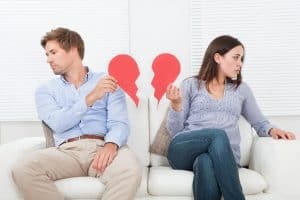 A child is not prevented from seeing both parents when the partners are facing marital disputes. The parents still must take care of their children. They’re given free time to spend with their kids through the child contact process. Here, children are also free to express their feelings to their parents. The mediation for child contact serves a great way for both children and parents to be happy in each other’s arms. The family doesn’t think about the pressure of the family issues they’re facing. So, it’s a wise decision for partners to attend to mediation for the child and the family’s welfare. It provides great possibilities to settle the disputes the partners are facing. Give it a try if you’re in the same situation.